Part of being a star athlete is to be gracious in defeat. Lionel Messi just lost a penalty shootout with Argentina in the Copa America final. But he still took a selfie with a Chilean ball boy. 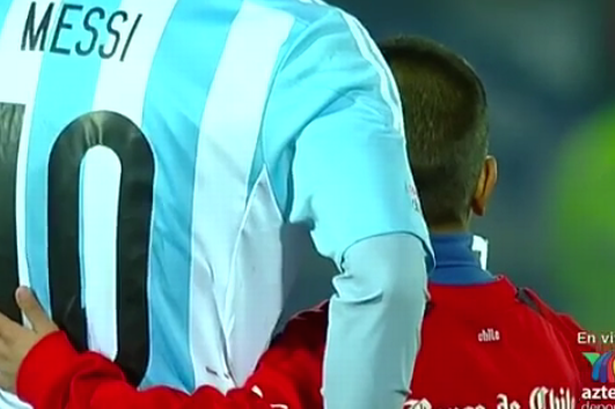 Yes, Messi doesn’t even have time to be depressed or bummed out on his own. He can thank Gonzalo Higuain, and not for the first time, for feeling like crap due to one of his famous crunch time misses, this time from the penalty spot. This was the third final Messi lost with the national team, following the Copa final in 2007 and the World Cup final in 2014. With Barcelona, it only happens to him in the relatively insignificant Copa Del Rey final.